According to a leading market research report, for the past five-year period, MHPS has obtained the world's leading market share at 40%, for facilities with a combined 41,500 MW of output. 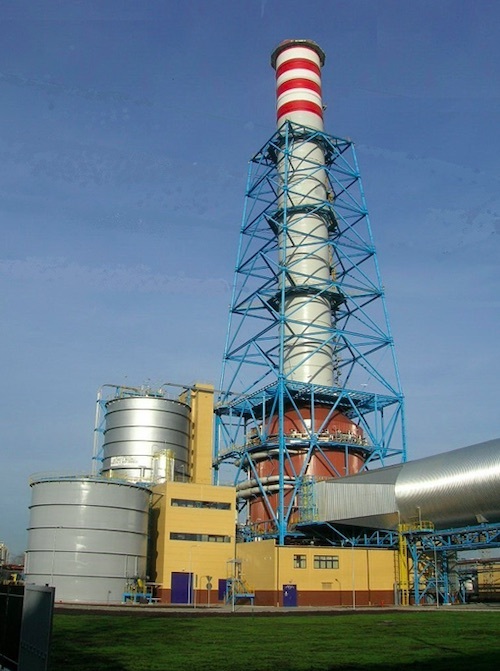 MHPS has consolidated the environmental technologies for thermal power plants that were developed and accumulated by Mitsubishi Heavy Industries, Ltd. (MHI) and Hitachi, Ltd., giving it the capacity to offer an integrated Air Quality Control System (AQCS) comprising FGD, denitrification, and dust collection systems. This centralization has established a foundation for MHPS as the world's only manufacturer able to independently offer proposals and provide these systems. Our world-leading technologies greatly reduce air pollutants such as sulfur oxide (SOx), nitrogen oxide (NOx), and particulate matters, helping to significantly improve the global environment. "I am proud that MHPS retained its top position in the market for 100 MW and above gas turbines during 2018, and was also able to expand its lead in FGD systems to gain a majority market share. We will continue to accurately assess customer needs and refine our technologies, to continue leading the industry in providing environmentally-friendly, comprehensive technologies," said MHPS President and CEO, Ken Kawai.